Has your air conditioner quit working? Comfort Heating & Cooling Solutions will get your AC system up and running quickly. We always provide fast and also dependable service with competitive pricing. One call is all it takes to request heating and air repairs in Northwest, FL. We carry a variety of parts for AC repairs and also services on our vans. Our knowledgeable technicians are highly trained. Therefore we will always explain the issues before completing the repairs. We are usually able to do the work the same day. We offer the best and also the most cost-effective air conditioner repairs for your home. We Are Your Local HVAC Repair Expert In Northwest Florida. Everything from setting up the support to hold the air conditioning equipment to the creation of supply ducts, it takes one with good experience and knowledge of the profession to install them. 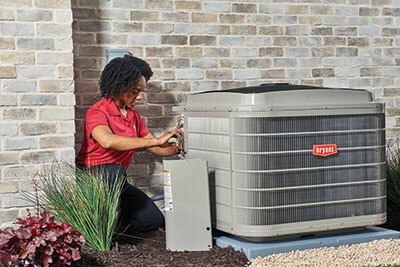 Comfort Heating & Cooling Solutions, LLC is your top air conditioner repair that undoubtedly one of the most professional and experienced agency for the task in the entire region surrounding our home base in Marianna. ​For years, the Marianna air conditioning repair professionals at Comfort Heating & Cooling Solutions, LLC have served the customers with the very best in consultation, sales, service, and maintenance of the areas around Marianna, Florida air conditioning systems. In fact, we have earned a reputation as the most reliable air conditioning repair company in Jackson County! Contact us for your Heating and Air Repair Appointment today. What Makes Comfort Heating & Cooling Solutions a great AC and Heating Repair Company?